Cantera, A., & Mazdapour, K. (Eds). (2015). The Liturgical Widēwdād manuscript ms. 4161 (Vandidad-e Jahānbaxši). Salamanca; Tehran: Sociedad de Estudios Iranios y Turanios. 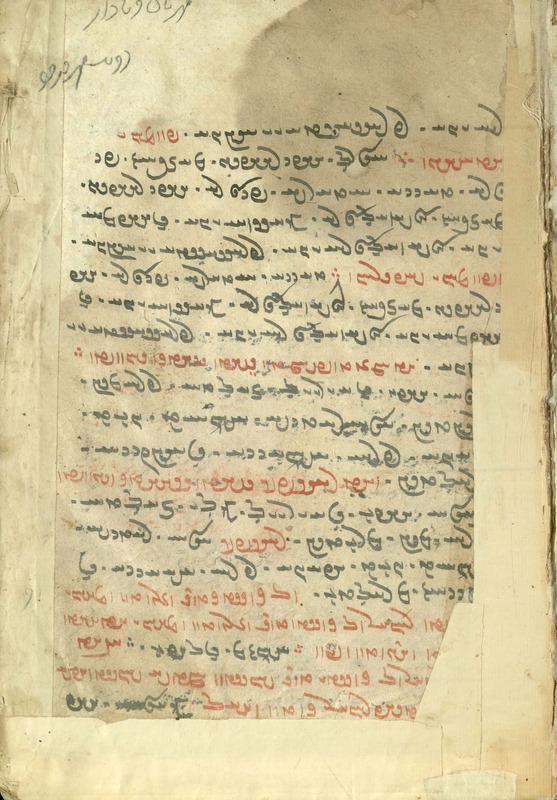 The ms. 4161 belonged to the Jahānbaxši family and was purchased by the Avestan Digital Archive in 2012. Since then it is hosted in the Central Library of the Tehran University as a long-term loan. It contains the longest version of the Yasna ceremony, which consists of the Yasna with the Wisperad and Widēwdād intercalations together with instructions in Middle Persian for the right performance of the ritual. An exclusive feature of this manuscript is that it includes on the margin and written by a second hand the description of the contents of the Widēwdād that appear in the eighth book of the Dēnkard. We have chosen this manuscript for the first volume of the series because of its importance for the Avestan textual criticism. Most of the known Avestan manuscripts produced in Iran were written by members of the learned family of Marzbān Frēdōn or were copied from manuscripts produced within this family. Ms. 4161 does not belong to this group, although it was written only some years after the oldest preserved manuscripts of the Marzbān family. It is closer to a very famous manuscript hosted in the Cama Oriental Institute, the ms. 4020 (Mf2), and other manuscripts discovered recently. But, whereas Mf2 is an Indian copy of an Iranian original sent to India, ms. 4161 is the only manuscript of this group that was still produced in Iran and is therefore not affected by the influence of the Indian environment. The book contains one English preface written in English by Katayoun Mazdapour and two introductions: one in Persian, by Katayoun Mazdāpour and one in English by Alberto Cantera. In these introductions, it is dealt with different aspects of the history of the manuscript and its position among other Avestan manuscripts of the same class. The main section of the book is the high-quality colour facsimile of the 268 folios of the manuscript with indexing in the margins.